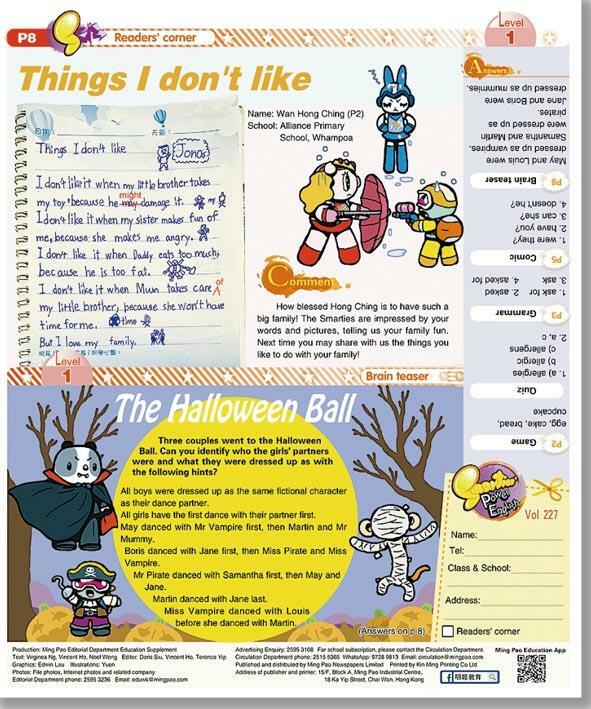 【明報專訊】If you have written anything good like a story, poem or joke, or drawn a nice picture, send it to us (see p 8 for our address). All kinds of contributions are welcome. The Smarties can't wait to see your good work!